Thursday morning I got the campground shuttle over to the bus park then got on the Seaplane Base bus. The atmosphere at the lake is completely different from that at the main show area. It is very peaceful and laid-back out there. 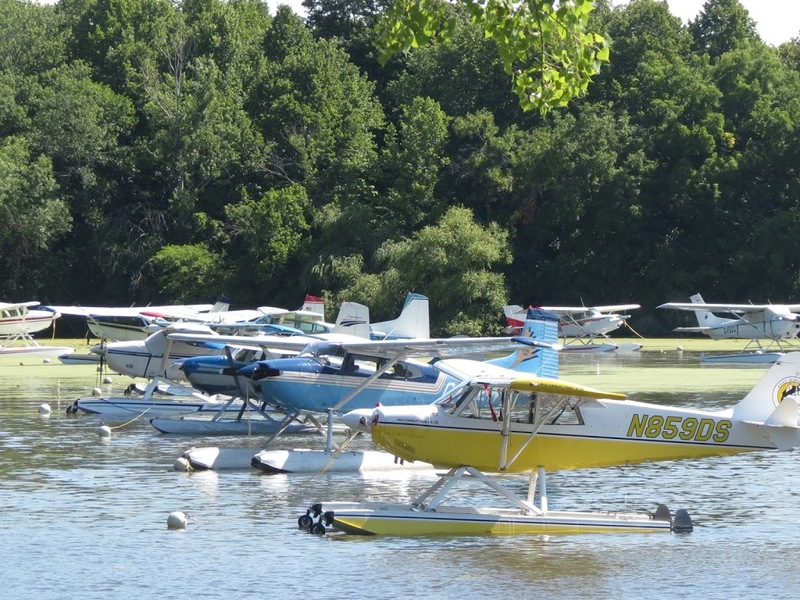 If you go to Oshkosh, you should spend some time at the Seaplane Base. I watched the takeoffs and landing for a couple hours then ate lunch near the docks to observe the activity there. Then it was back on the bus and to the crowds at Wittman. The afternoon airshow included another flight by “Jet Man” and the return of many of the other performers of the week – including the only civilian owned Harrier aircraft. One special flyby was a PBY that was parked right in front of where I was setting. Passengers during the flight included “Sully” Sullenberger and Jeff Skiles – the heroes of the Hudson. 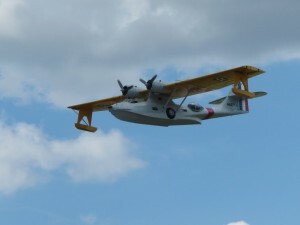 After a few passes over the runway, the PBY flew over to Lake Winnebago where they made a water landing and takeoff before returning to Wittman Regional. In an interview shown on the jumbotron. Sully joked that he enjoyed the flight but was surprised to learn that an airplane could take off again after a water landing. I was back at the forums on Friday. The first one I attended was Rod Machado‘s talk on defensive flying. 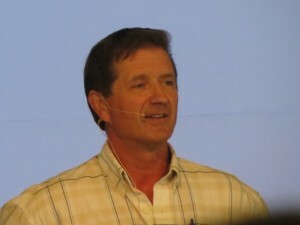 Rod is always entertaining and I enjoyed his talk a lot. After that one I went to hear “Shoot Great Aerial Video” presented by David Tenenbaum. That one was very informative. Fridays airshow included many of the usual performers but then the air field came under attack as Tora! Tora! Tora! presented their show. Bombs exploded along the runway and machine guns strafed the ground. The afternoon ended with the traditional AirVenture warbirds review. 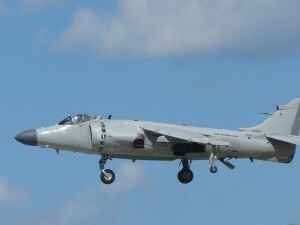 Reconnaissance and support aircraft circled the field while the sky filled with mass flights of training airplanes. Then the fighters and bombers arrived. More explosions rocked the airport culminating in the “Wall of Fire“as FiFi, the last flying B-29, accompanied by three B-25s made their simulated bomb run. There was a mass hot air balloon launch scheduled for 6 AM Saturday morning and I wanted to go but I just couldn’t drag myself over to the airport that early. It had been a long week! Instead, we had a leisurely breakfast before I walked over to the forum plaza and Georgia left for the annual EAA quilt show (she was the winner of the door prize). I saw the “Aviation Humor” presentation by Rod Machado which is always a hit. I met Georgia back at the trailer for lunch then we packed up what we could to make it easier to a fairly early start for home the next morning. 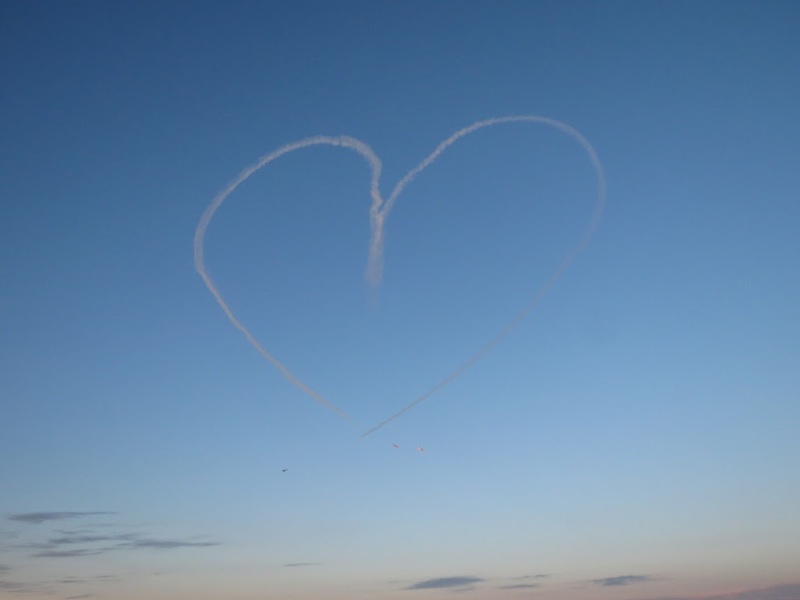 The afternoon airshow featured the last flight of Jet Man and the biggest warbird display of the week. The Saturday show is always the best attended since it is not a work day and this year was no exception. We were about five rows back in the crowd but edged forward to the second row as people left near the end. That put us in a good position for the coming night show. We left our chairs to hold our spots while we walked over to the nearest food vendor for dinner. One welcome change at this years AirVenture was the switch to local restaurants as food vendors. That gave us a better variety and, I think, better quality of food choices. We ate at least one meal a day on the grounds and it was always good. 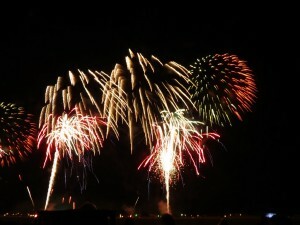 The night airshow was as spectacular as the last one and the fireworks show was even better than Wednesday. The “Wall of Fire” at the end was the biggest I have seen at AirVenture. 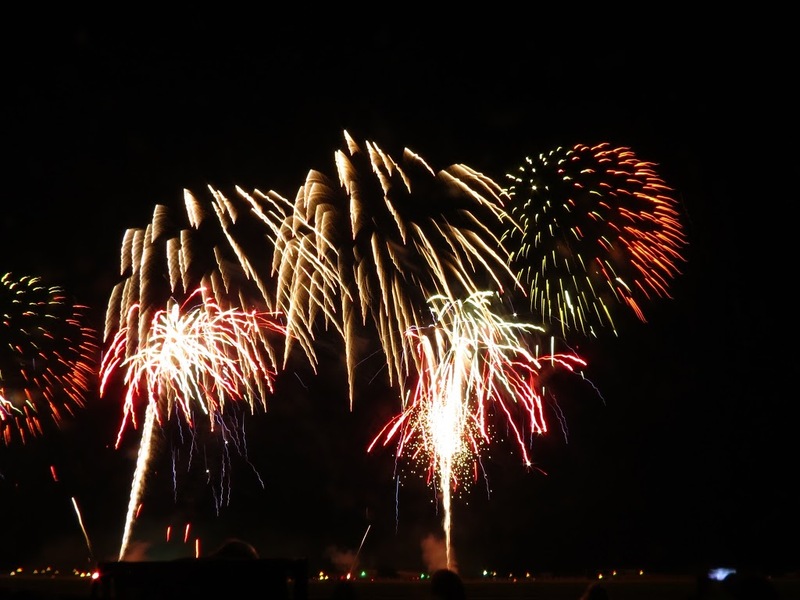 Word is that this is the last AirVenture for Rich’s Incredible Pyro as the couple is planning to retire. If that is true, they went out with a bang! Not having fallen for the parking lot tonight, we were prepared with flashlights to guide us as we walked back to the trailer. It took just minutes instead of the frustrating drive we had after the last night show. Sunday morning we took our time getting up and eating breakfast. We prepped the trailer for travel, got hitched up and were rolling a little after 10 AM. While we were in line for the dump station, a fifth-wheel in front of us was too far to the right as they pulled forward. We heard the sound of breaking plastic as the refrigerator vent was ripped the refrigerator off the roof. Georgia got out and picked up the pieces. When she gave them to the driver, he seemed surprised to hear that they came off of his trailer. I made sure to hang well to the right when it was my turn. The rest of the trip home was uneventful. 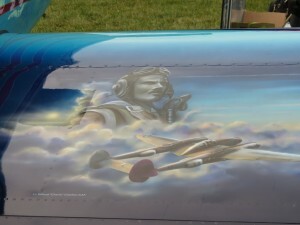 I think having the trailer was a great way spend the week at AirVenture and I am sure we will do that again next time. 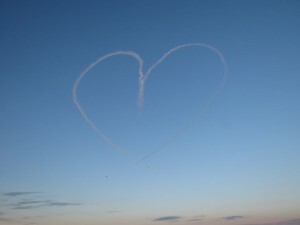 This was our first full week at AirVenture and we enjoyed it very much. The weather was near perfect and the show itself was bigger than ever. 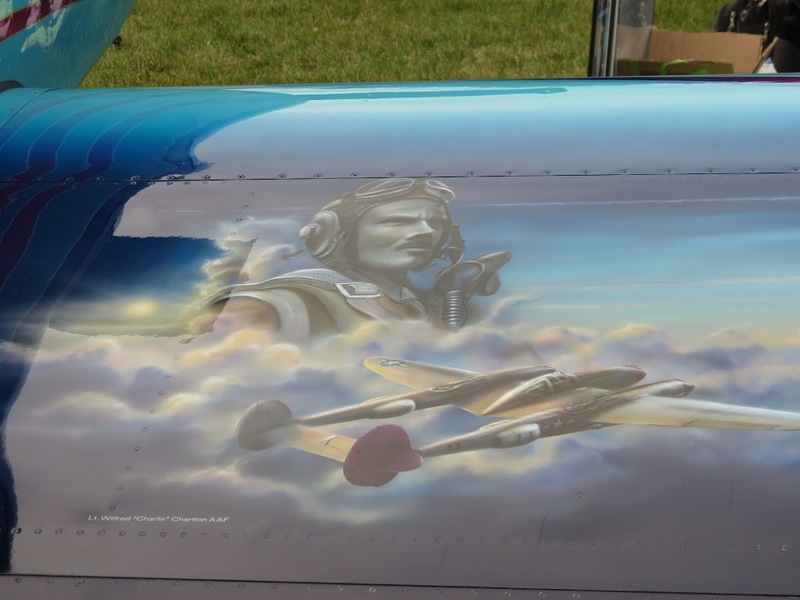 Anyone with any interest in aviation should try to make it to Oshkosh at least once.